The ability to provide applied knowledge on wetland issues is one of our core values. In order to improve specific policies and practices of the government but also the private sector, we are dedicated to staying on top of the latest knowledge developments. Therefore, we apply scientific research to our field work, collaborate with many knowledge institutes, such as universities and government agencies, and manage several databases. As a global organisation we strive to collect information on wetlands, their values and services. We also keep abreast of the latest scientific developments in order to improve wetland-related policies and practices. For this, we maintain a network of Specialist Groups and Associate Experts. We also collaborate with scientific institutions and individual researchers. When we see key gaps in the available knowledge, we conduct or stimulate further research. 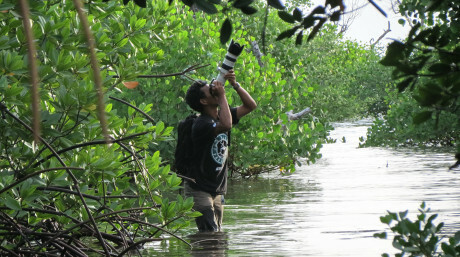 In Indonesia as well as in many other parts of the world we intensively monitor the impacts of our field level activities on wetlands restoration and conservation, and their ability to empower communities. In this way, we develop the practical know-how and facilitate best practices wetlands management by others. In addition, we are also committed to participate on such meetings dedicated to the advancement of knowledge on many wetlands issues. The knowledge on the different areas in which we specialise (see below) is shared with the key players that influence wetlands. Not only the Government of Indonesia, for example the Ministry of Forestry, Ministry of Environment, Ministry of Agriculture, Ministry of Public Works and other Ministries or local governments are provided with our input on policies. We also work with the private sector and other NGOs using our knowledge to influence their policies and practices. Here are some key examples of wetland knowledge we have built over the years. The first is the Wetland Database (WDB) which provides detailed information on over 250 wetland sites in Indonesia. Secondly, the database on Mangrove Species provides an overview of all mangrove species in the country and their characteristics. Thirdly, the data base on man-made lakes in Jakarta and it’s satellite cities (Jabodetabek). Lastly, the peatland distribution and carbon content maps are the first and only of its kind. 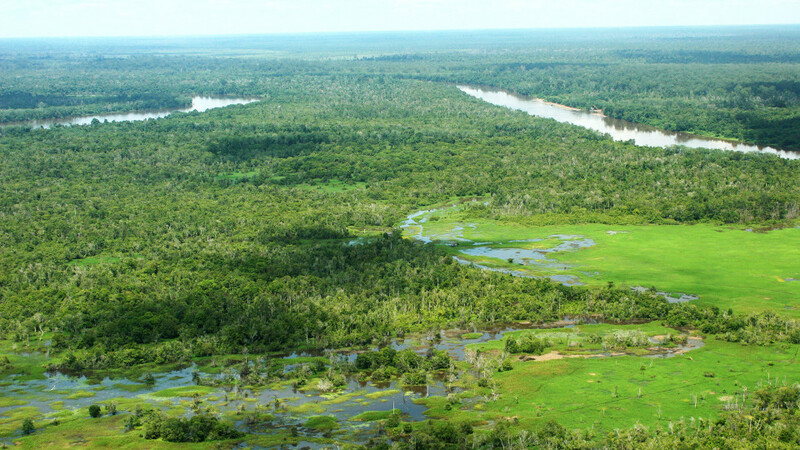 The Government of Indonesia but also other NGOs base their peatland work on our maps. Globally, Wetlands International maintains the global database on key wetlands. This work assists the Ramsar Convention on Wetlands (the global intergovernmental convention dealing with wetlands) in maintaining a global overview on the network of Wetlands of International Importance, and guides the further development of this network. Indonesia is rich in waterbirds; it is home to about 380 species of these wetland dependent bird species. Waterbirds are extremely important both from a conservation and recreational point of view. Most of these species have adapted to the drastically changing conditions of wetlands through their migratory behaviour. The Asian Waterbird Census (abbreviated to AWC) is a voluntary annual activity conducted in the 2nd and 3rd weeks of January each year. 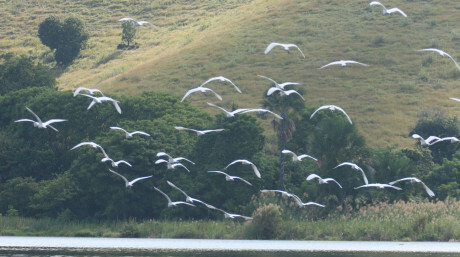 It is a waterbird monitoring activity coordinated by Wetlands International. Recorded 12 species of dragonfly not previously recorded in the peatlands of Central Kalimantan, Indonesia, 4 are completely new to science.